A lot of manufacturers have been taking a stab at the compact-SUV segment and as usual, business is good. 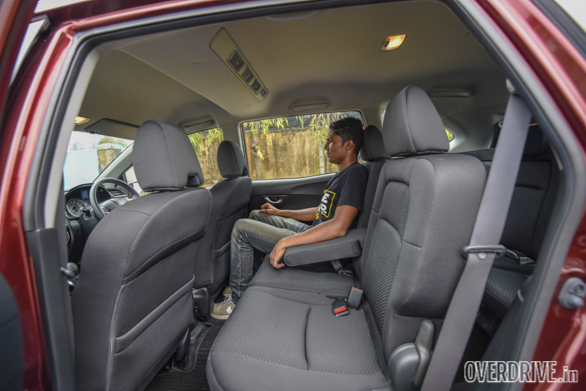 While most of them have opted to go the traditional five-seater way, Honda has tried something different with the BR-V  seven seats. It is also the first car in this segment to offer a CVT instead of an AMT or a torque converter. We find out if these USPs work in favour of the Honda BR-V or if they let it down. Like all the Hondas, the BR-V has a typically Japanese design language that people will either love or hate. Personally, I like the way it looks because of its interesting characteristics like the aggressive lines and creases, rugged looking body cladding, quirky 16-inch wheels and the unusual wraparound tail lights which are connected by a reflective strip. However, despite best efforts, the BR-V looks more like a minivan than an SUV from all angles, except the front. This is especially because of the long rear overhang to accommodate the third-row seats and the resemblance to the Mobilio from the side. While this look may work for someone looking for an MPV, it won't sit too well with someone looking for a compact SUV. The interior meanwhile is very functional with a lot of its components like the centre console and instrument cluster borrowed from the new Amaze. There are sufficient storage spaces, and the plastics look pretty good too. However, it looks too bland and lacks that premium feel that is expected from cars in this class. 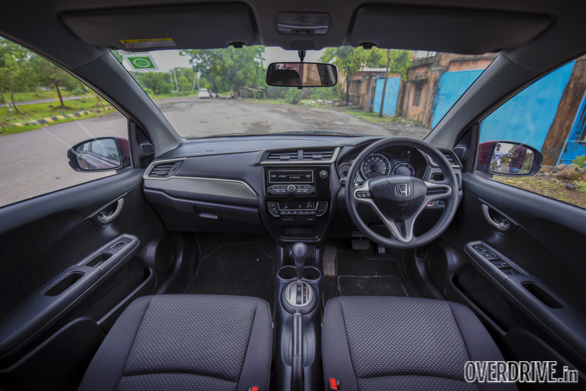 The best part about the BR-V's interior has to be the space it offers. The second-row seats have good knee room and can comfortably seat three but could have done with some more under-thigh support. The third row isn't too crammed either and even gets proper seatbelts and a bottle holder. The third row also benefits from the roof-mounted second-row aircon vents, which are effective but a bit loud. The boot is huge with a capacity of 691 litres when the third-row seats folded down and tumbled away. The petrol BR-V gets the same 1.5-litre petrol i-VTEC engine from the City, which produces 119PS of power at 6,600rpm and 145Nm at 4,600rpm. 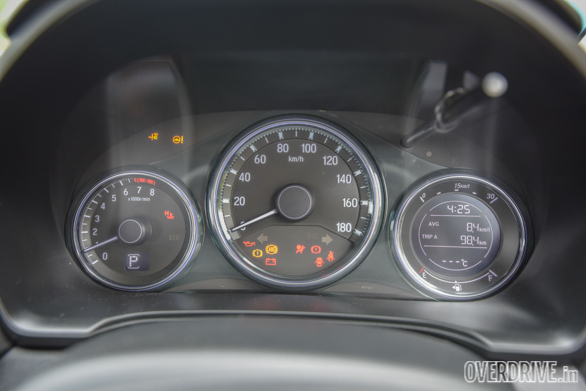 While there isn't too much vibration from the engine, it can get irritatingly loud past 4,500rpm, which makes the BR-V's engine feel a bit outdated. So in the city, where you'll mostly stay at low revs, the BR-V works just fine, but on the highway, it can get pretty shouty when you step on the gas. This is made worse, thanks to the rubber band effect of the CVT. 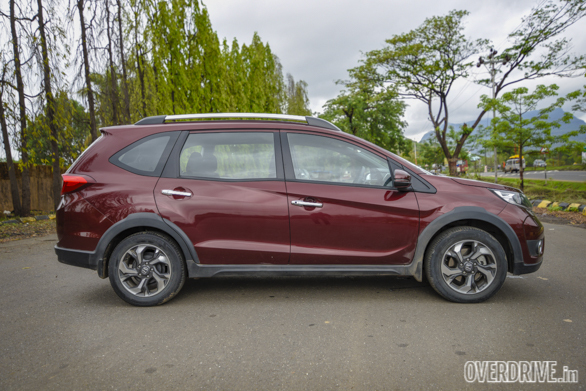 The CVT is otherwise quite smooth and responsive as well as very nice to use in town. However, the sharp throttle can take a while to get used to in slow moving traffic. 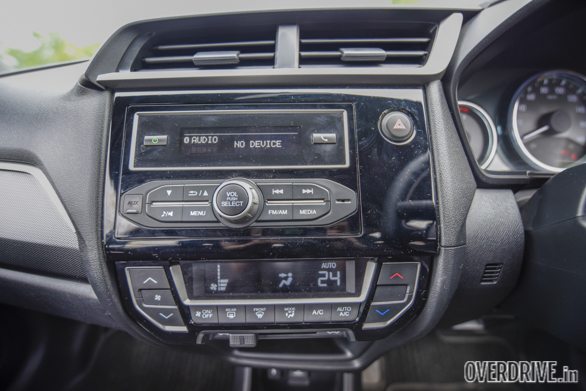 The Honda BR-V also gets a Sport mode, which improves the CVT's response but holds the engine at higher revs, which again gets a bit annoying. The paddle shifters meanwhile are a nice feature and make overtaking a lot easier with its seven pre-programmed shift points. Using them is also the only way that you'll get engine braking because, otherwise, the revs drop to around 1,500rpm as soon as you step off the gas. The CVT also manages to run the car pretty efficiently, especially on the highway where we got 18.2kmpl. In the city, it returned 11.3kmpl in moderate traffic conditions with a light foot. 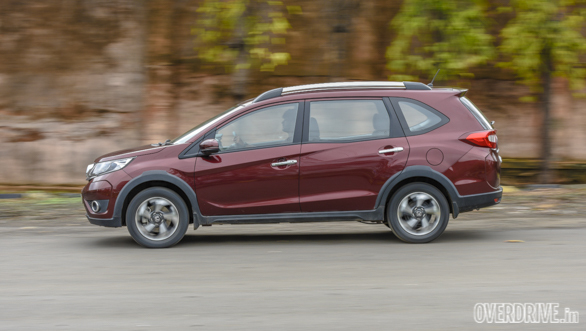 The Honda BR-V doesn't feel quick when you hit the accelerator hard. Because of how linear the power delivery is, thanks to the CVT. 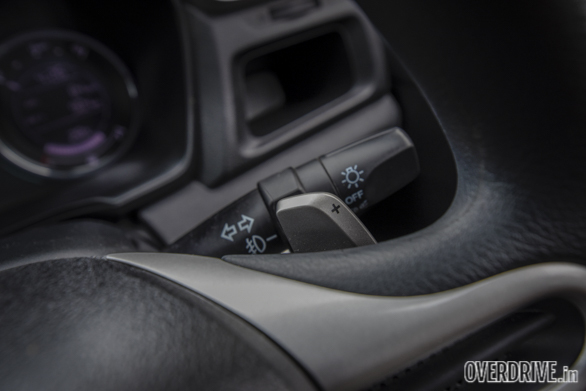 There isn't the sudden pull you'd get when you shift down in a manual transmission or a conventional automatic. The speedometer, however, will tell you otherwise. 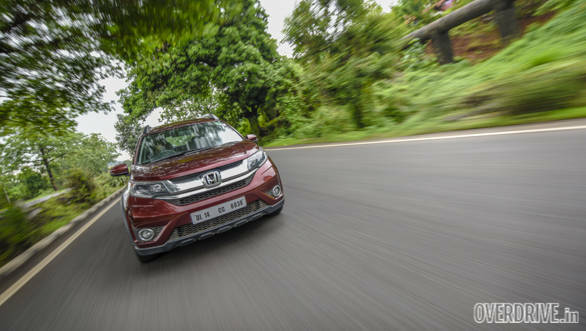 The BR-V picks up speed pretty quickly, and before you know it, you'll be at 100kmph. 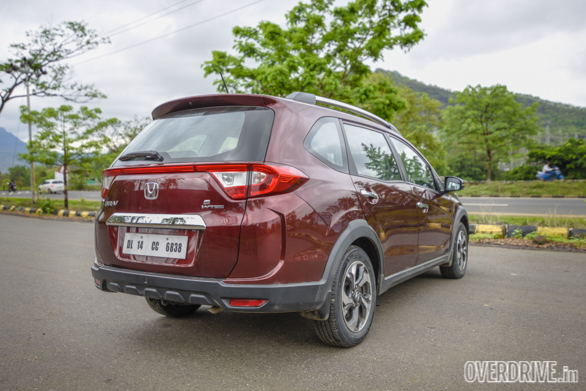 Although it's capable of doing a bit more, the BR-V feels most comfortable between 120-130kmph. 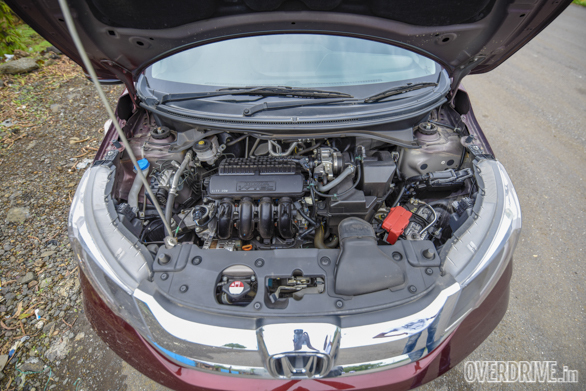 Honda's primary concern while setting up the BR-V was ride quality, and that is quite evident. It soaks up bumps quite well, and although it might feel a bit jumpy at higher speeds over undulations, it should ride better when it's loaded fully. The suspension is also set up quite well to handle corners. While it might not be a sporty set-up, it doesn't roll too much around the curves. 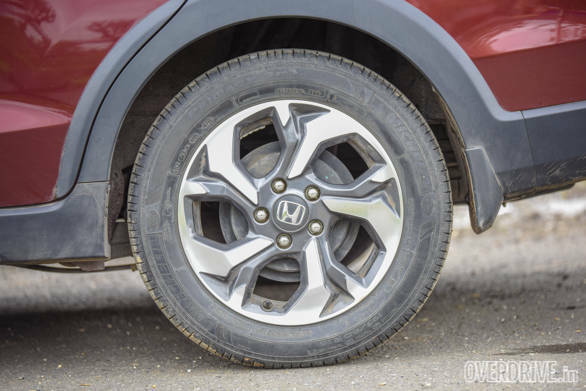 This, along with a well-weighted steering wheel, makes the Honda BR-V capable of handling windy roads quite well. The brakes are another big plus point to the car. Although they don't feel frighteningly sharp, they do bring the car down to a standstill within no time, which goes a long way in improving confidence at high speeds. To me, the BR-V didn't feel very SUV-like at all from behind the wheel. Instead, it feels more like an MPV or a crossover. While the driving position is quite comfortable, it isn't too high up and so you don't get a very commanding view of the road. However, you can drive without worrying too much about pot holes and ruts, thanks to its 201mm of ground clearance. 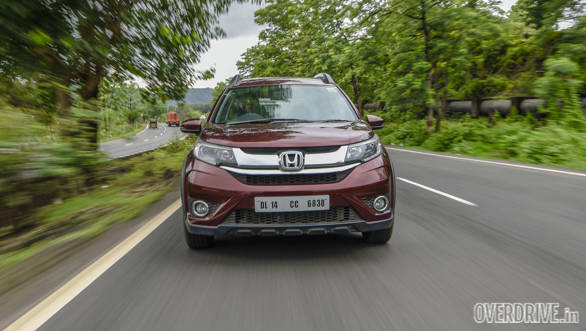 For safety, the BR-V CVT gets the dual airbags and ABS as standard along with the usual features like seatbelt pretensioners and an impact sensing door-unlocking system. In terms of features, the BR-V has almost everything you'll need, but not everything you'll want. For example, you get a simple music system with Bluetooth, USB and Aux connectivity but no touchscreen, an automatic climate control system from the Amaze, rather than the Jazz or City, a multi-information display in the instrument cluster, and basic steering mounted controls which don't include a buttons for telephony. But one feature that is sorely missed is a reverse parking camera, or even parking sensors, especially considering that BR-V is a little less than 4.5m in length! 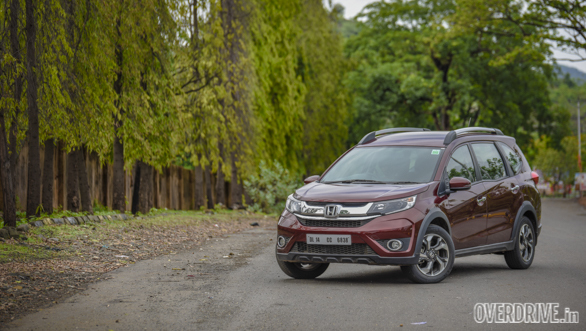 At Rs 14.34 lakh, on-road Mumbai, the Honda BR-V CVT is certainly a better, albeit more expensive, alternative for someone who is looking for a seven-seater MPV to drive their large family around town. It looks better than all the other MPVs in the market, and the CVT only adds to its city driving capabilities. However, like I said earlier, a lot of the BR-V's features have been lifted straight off the Amaze. While I don't have a problem with Honda sharing parts, my concern is that Honda chose to share them between a car in the Rs 6-10 lakh range and a car in the Rs 10-15 lakh range. The BR-V CVT would have felt more premium and fit better into this segment if Honda had simply taken components off the Jazz or City instead of the Amaze. The BR-V lacks a certain something in this segment that I can't quite put my finger on. And no, it's not just a touchscreen.